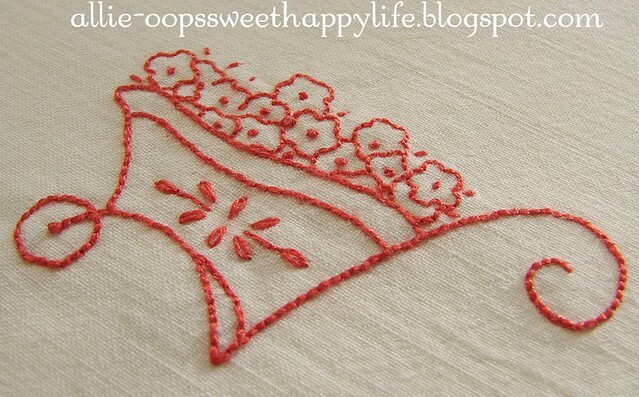 I'm not happy with my lazy daisy stitches, looking at these close-ups. I think I need more practice!!! I've been doing a lot of sitting and stitching, broke my toe getting out of bed on Friday, how stupid is that? Instead of my slipper, I tried to put on a table leg. Some days it just doesn't pay....I guess I need to put my coffeemaker right next to my bed, so I can have a cup before I try to get up! I'll see you soon....go forth and stitch! Take care of that toe! At least you can sit and sew without much pain. 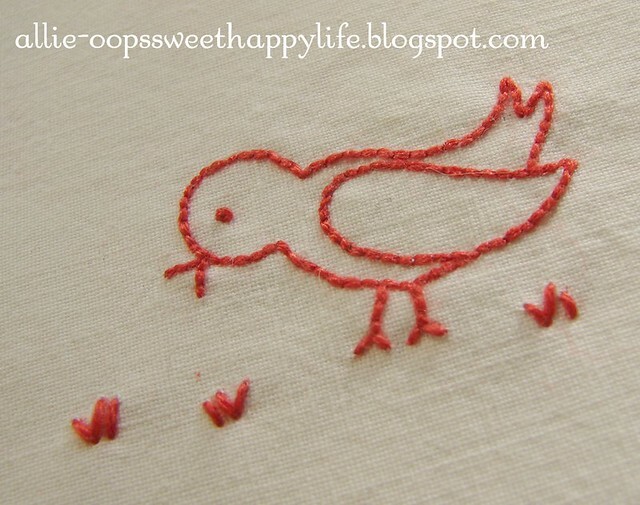 Your lazy daisy stitches look good to me. I have trouble making mine look good. 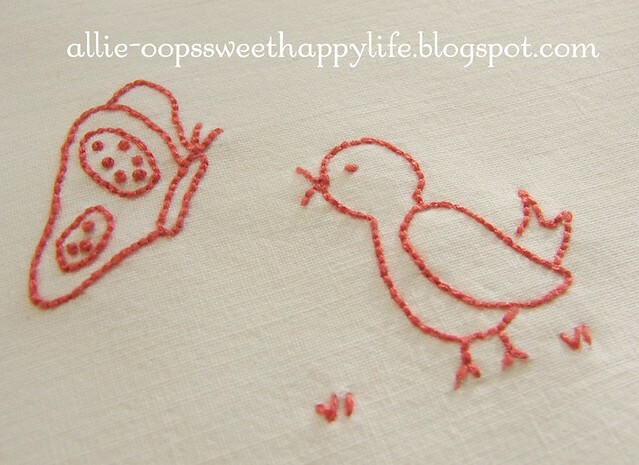 Nice, nice embroidery designs. Oh my , these are all so sweet and lovely. 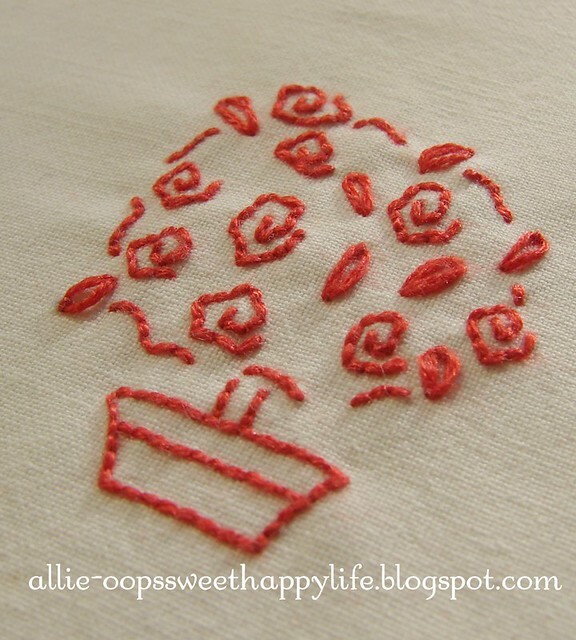 I am impressed at how good your lazy daisy stitches are! I can't seem to get mine that even. Sweet! 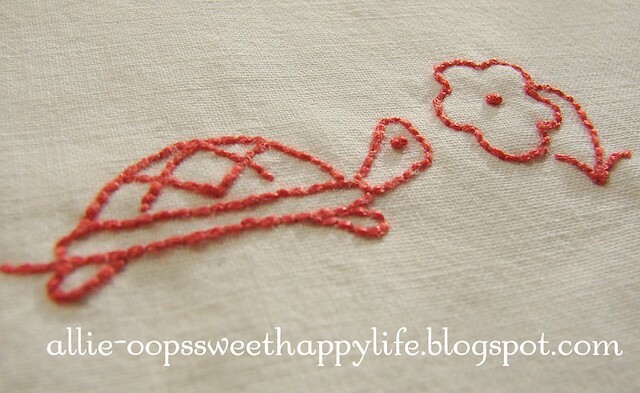 I like the turtle and bunnies the best :) Your stitching looks fine to me - I can't embroider even a bit! Awwww, how cute! 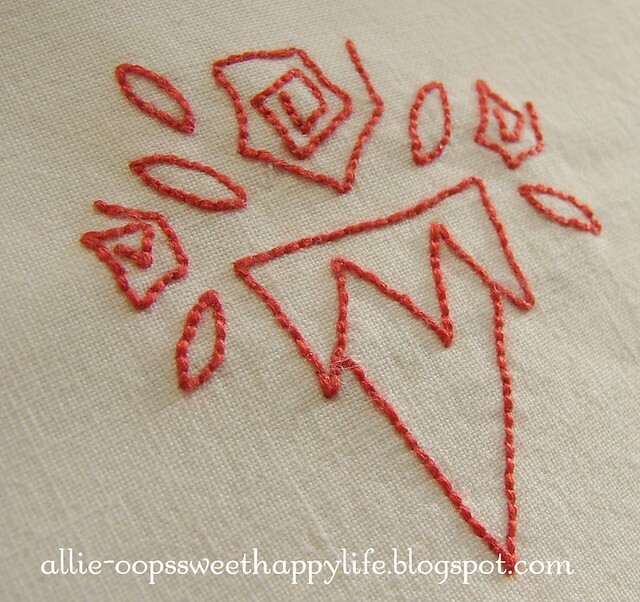 I was thinking what a great job you did with those daisy stitches, so I'm not seeing what you're seeing, Allie. Gosh, sorry to hear about your toe -- ouch! Dagnabit. Heal quickly, Darlin'. Love it! Bought it! Can't wait to sew it! Cute designs. I'm so sorry to hear about your little accident. It must hurt like h*&l.
Love your new pattern. I especially love the heart! But it was a difficult decision because they are all so darn cute! Cute designs Allie! Love the cart full of flowers! those are such cute pictures... ouch.... sore toes!!! lovely designs and stitching, Take care when the coffee maker is installed, table height,milk right there, and have that delicious first morning cup in bed..Heal soon.Guess you just tape it up, no plaster cast at all. 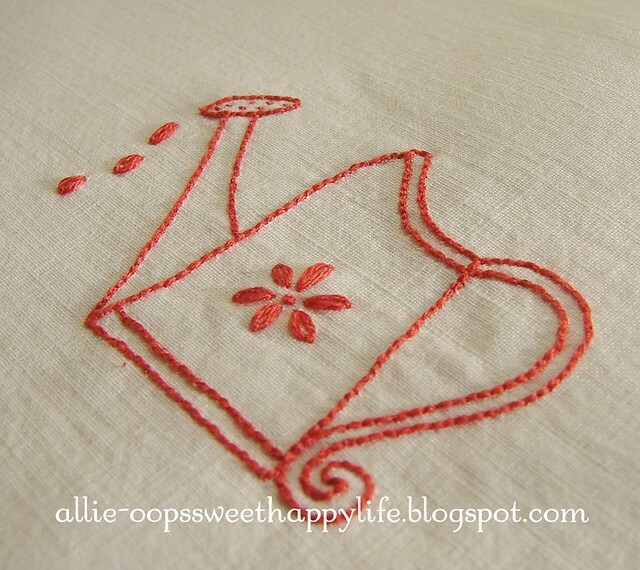 Allie - Such cute designs! Well done. Now for your toe ... OUCH! Do take care. I am so sorry to hear about your toe. Sounds like something I would do. 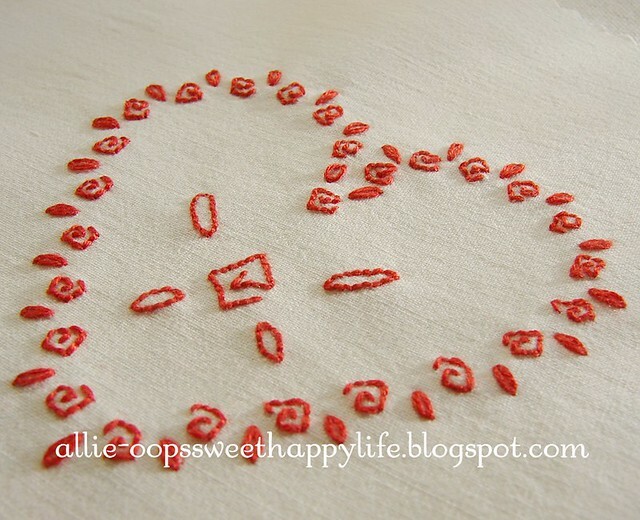 Love your stitching it is just perfect. Adorable. I just love the little turtle. Adorable! I had another of yours in my Craftsy cart just waiting for something more and this was it! These are all so cute Allie! I love each and every one of them. hope your toe is better. They are all so sweet!!! 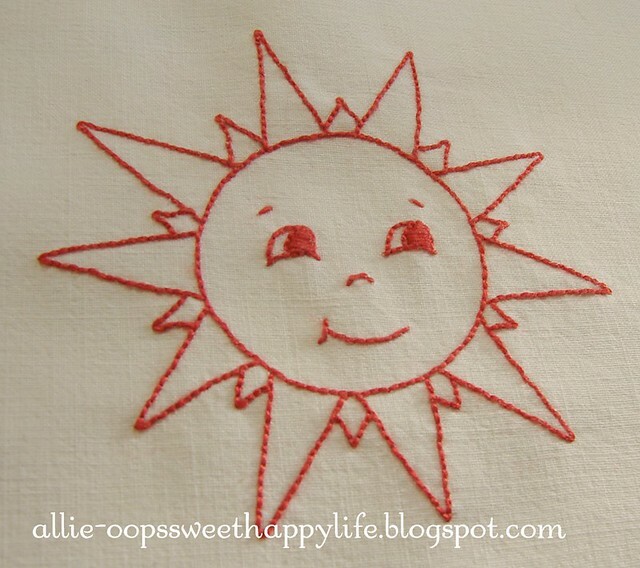 I think the sun is my favorite - I can totally see that stitched on a teatowel... hum I'm going to keep that in the back of my mind! Sorry about your toe - ouch. Hope it heals up quickly and isn't too painful. These are really cute! Got mine. Now to fine time to sew...grin. OUCH! Your poor toe. I heard about a lady who broke her foot in bed! My furniture and doorways have a habit of jumping out at me. 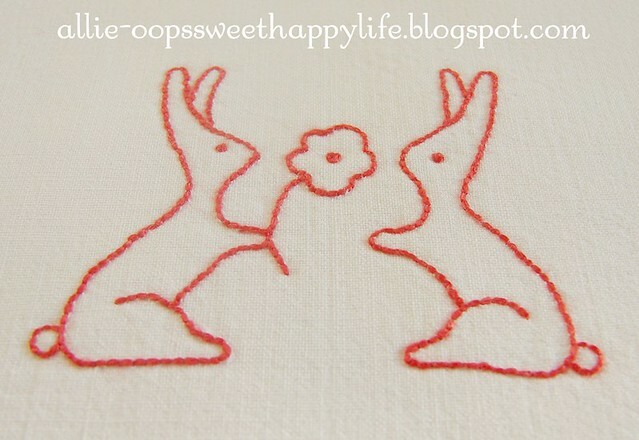 Love your sweet stitcheries. Look fab.